In the fall of 1999, a few months after receiving my black belt in Tang Too Do, my instructor, Master Diane P. Jones, was gracious enough to allow me to ask Mr. Welch if he would teach me weapons, particularly the eku (which resembles a boat oar). She was an accomplished martial artist in her own right, but did not offer a weapons program. Master Jones believed weapons study would encourage me to grow in the martial arts and enhance my understanding. Mr. Welch agreed to teach his weapons program to me but we had to start with the bo, the long stick originally used to herd animals and to help climbing rugged terrain. It turned out we would not use the eku for almost a dozen years! For several months I practiced Shorinkan weapons with Mr. Welch and Tang Too Do with Master Jones. One night I noticed his young students doing kata and realized that the kata were very similar to what I learned in Tang Too Do. I spoke to him about taking his full class. He would not allow me to join unless Ms. Jones gave her approval. They had great mutual respect, and would not allow a student to change without the other’s blessing. She agreed. At first I thought that his request was rather odd. As I came realize, integrity was very important to him and he set the bar very high. I enjoyed training with Shihan (everybody called him Shihan, a term of respect for his high rank, but it became a term of affection for many of us). He was tough. Considering that I was already a black belt, and that I received it from someone whom he respected, he told me that I had 18 months to learn the entire Shorinkan karatedo system. He allowed me to wear a plain black belt during that time. Most everyone has seen the embroidery of Japanese characters on black belts. But because I had not earned one in his dojo, mine had to be plain. He would playfully tease me that I “had no character” but at the end of the 18 months I would be given a belt worthy of what I had learned. Many sensei require that all new students, no matter their previous rank, start at white belt. But Shihan was showing respect to new experienced students by having them wear plain black belts. It also meant that their appreciation for doing that would make them motivated to work harder than others. It did. I ate, slept, and worked Shorinkan karatedo. My coworkers believed I was crazy. After all, I was in my 40s and none of them were doing such things. Eighteen months is not a long time and time certainly does fly! Not only did Shihan set the bar high, he ensured that I had all the help that I needed. Many a night it was just me and him in the dojo. Sometimes, I can still hear him yelling at me. It took a while to understand that if he was not “on your case” he really did not care about you. If you were diligent and dedicated, he knew he could trust you with more difficult lessons. Because he cared, he demanded more. There was a lot of stern direction and pushing students to success, often to levels they would not otherwise achieve. My shodan test under Shihan was the hardest single event I have ever done. I won’t go into details, but if you tested under him you know what I mean. I have heard that he has taught over 5,000 students and only about 70 made it to black belt. Only about half of those were with him after earning their first yellow belts. After about five years or so I decided to focus all of my martial arts attention on Shorin-Ryu as we practice in the Shorinkan. I love Tang Too Do but Shorin-Ryu seems to fit my mind and body better. I trained under Kyoshi Welch for almost 20 years. During that time I tested four additional times, and I traveled to several seminars and camps in North Carolina, California, Indiana, Washington, D.C. and Okinawa, Japan. 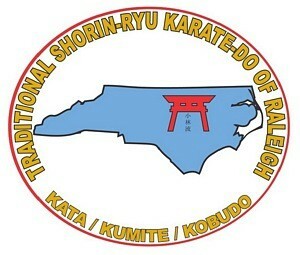 With his blessing, I opened my own dojo in Raleigh, NC ten years ago. Shihan always supported me. He visited us several times, led test boards on more than one occasion, and brought busloads of students to support my tournaments. The first three students in my dojo to test for black belt did so at Shihan’s dojo under his direction. They know how challenging his tests are. Years later, I finally learned the eku! It took me long enough! I failed to mention that Shihan himself had no weapons rank, and bragged about it! Don’t let that fool you. He knew every weapons kata extremely well and could do them all. He just never sought rank. He would sometimes explain that it was not your rank or whom you knew. It is what you know that counts. I agree with what he said, but in my case it is because of who I know that I know what I know. I could write volumes about Eberhard Greene Welch, Sr., but I know he would tell me to shut up and move on. I will do just that. I can say with pride that I never quit, I never lied, and I never stole. I showed him the personal integrity that he so richly deserves. Until we meet again… REI! Are Your Social Media Friends Correct About the Necessity of Hard Black Belt Tests? My test was harder than your test! I have heard this statement many times, especially on social media. Most of the time I saw this claim, it was black belt tests that were being debated. Years ago I thought this type of talk only involved men who tested for black belt. I chalked this bragging up to the “macho” gene that flows through many of our male bodies. Lately, I have heard women chime in. Why is the duration and complexity of a black belt test so important? I can see value in the rigor of testing when the yudansha (one who has earned a black belt) was responsible for protecting the family and village. In today’s society that responsibility falls on the local police and the military. Defense in street attacks and robberies, although rare, usually depends on where you may live or travel or who you encounter, is a key component of martial arts training. Will the proficiency of that training be evident in a rigorous and long lasting back belt test? If so, should that be the primary purpose of a black belt test? I have taken a few black belt tests, headed the board or been a member of the board on many tests, and talked to several senior dojo heads about black belt testing. There are almost as many opinions as there are styles of karate. Most of the instructors agree that there is a certain level of mental and physical toughness that they want their back belts to have. That toughness does not always translate into fighting ability. That group of instructors also has the notion that the tester must show how badly they want to be in the “club.” They take “the many are called but few are chosen” point of view. If not kept in proper perspective, a school can end up with a contingent of black belts who are mentally and physically tough but are not versed well enough in the technical and historical aspects of their art to pass it on to future generations. Some instructors whom I have met want the black belt test, if not all belt tests, to be a showcase of what the student has learned. It can be extremely difficult to demonstrate correct technique and kata after running several miles, doing hundreds of exercises, and countless kicks, blocks, and punches, etc. Instead, these tests focus more on knowledge and application of the art. This has merit, too, but if not checked could result in a dojo where the black belts make good teachers and instructors but could not “burst a grape in a food fight”! So what is the answer? How do you find the right balance? I have come to this conclusion: there is no set answer. I work to bring the best out of all of our students, which means no two tests are alike. My tests are physically, mentally, and technically challenging, appropriate to the belt level, age, and potential of the student. while preserving the integrity and history of our style. So… when social media friends say “my test was harder than yours”… or vice versa… who cares? First, the centerline is the axis that runs down the middle of the body. Draw an imaginary line down the forehead, between the eyes, down the nose, through the middle of the chest, and continuing to the midline of the groin. This is the centerline. Many of the important targets you are trying to attack or defend are down the centerline of the body. These include the head, eyes, nose, throat, solar plexus, and groin. A person’s balance is often along this centerline axis as well. In the chest, many of the organs are near the centerline, such as the heart. Targeting the centerline gives you advantages over an opponent. Proper stances and blocks are essential the and also to generate significant force when punching. New students start with stances that are always forward-facing, particularly their upper body. This makes it easier to learn proper alignment of their legs and feet. and the proper length of their stances. Also, instructors want to make it easier to learn how to punching along the center of their body. As the student progresses in ability, their stances become more consistent, and stronger. It’s at that time that the importance of protecting one’s centerline and attacking the opponent’s centerline can be stressed. Slight adjustments are made to upper body positioning, turning slightly left or right, to help shield the centerline from a direct attack. That slight turn helps protect vital organs when receiving punches, but it also helps create greater torque with the lower body to deliver strikes with greater force and speed. The adjustment of the upper body position affects block effectiveness. It is important to practice all blocks to ensure that they are executed properly without creating unnecessary stress to the body or limiting the range of motion. Care should be taken to ensure that punches, kicks, and other strikes can still be delivered to the centerline of the opponent, even if they are turned slightly. One’s centerline can also be protected with slight shuffling of the feet (side-to-side, backwards, etc.). The goal is to avoid direct contact to your centerline while still placing yourself in a position to deliver a counterattack to your opponent’s centerline. Considering that most fights are conducted at close range, it is extremely important that students learn to rotate their upper body, shuffle their feet, and block to avoid direct blows. Centerline blows can be serious, which is reason enough to protect against them. Students must also learn to mount an offense while using these countermeasures. Unless there is a one-punch knockout, both opponents in a fight will get hit. As they say about playing cards, “to shuffle, you have to deal.” That is, you need to take control of the fighting situation. The goal is to minimize the impact your body receives while maximizing the impact you deliver to your opponent. Positioning yourself to protect your centerline also puts you in position to best attack theirs. As students progress in their ranks, this is one of the subtle areas of difference that can be seen in each level. The centerline is very important because it affects all aspects of their self defense skills. Why Study Martial Arts Weapons… In this Age? Why participate kobudo training in this high technology age? Many dojos offer kobudo (koh-boo-doh) training, the study of martial arts weapons. There are many traditional martial arts weapons, most with an interesting history in the practical tools of their day. Weapons, even for self-protection, were banned among the citizens of many of the kingdoms and municipalities of the time. Local people, often poor farmers and fishers, were denied the right to possess weapons of their day. Only the royalty and their armies were allowed to have them. This meant that common people had to use some ingenuity and creative trial-and-error to see a means of protection for their families and possessions in the objects they used in their trade or around their homes. Weapons were fashioned out of common agricultural tools such as hoes, sickles, horse bridles, as well as from parts taken from commonly used machinery. These innocent-looking implements served their communities well. In today’s world, these implements are no longer needed, and usually not practical. So why study them? There are many reasons. For me, the most important reason is to learn and preserve this important part of martial arts history. But there are other reasons. I have found that kobudo kata improve my balance, breathing, stamina, coordination, concentration, and overall strength. With a modern gun, only my trigger finger and perhaps that hand and forearm are exercised. In kobudo, my whole body is worked. One of our students has found that kobudo kata are a way to warm up and loosen tight muscles and tendons prior to class or a full workout. Not all of the weapons of yesterday are obsolete. A substitute for a bo staff for example can be found in the office, at school, in the park, and many other places. A good long stick is not hard to find. Makeshift examples of some of the other weapons can also be used when necessary. An umbrella, for example, can be a weapon to fight an attacker. We just have to use our imagination like the kobudo practioners decades and centuries ago did. Furthermore, we must practice. Just like empty hand kata, there are self defense techniques in our kobudo kata. We have to practice them to uncover and perfect them. So why kobudo training in this age? The answer is simple. It preserves and perpetuates an aspect of our martial arts history and provides a broader range of options to preserve our lives. To Kata or not to Kata? That is the Question! An important part of studying karate as a high level belt is to explore the art’s history, but also the philosophies behind teaching methods and the reasons for what we teach in the dojo. Some of the conversations about these topics are on online forums and social media for karate practitioners. One of the more interesting questions lately is about the importance of kata in over all martial arts training. Some, however, have expressed the point of view that kata training is no longer necessary. The other side of the argument contends that you can’t be a traditional dojo without kata training. Which position is correct? Is the answer somewhere in the middle? In my traditional martial arts training, now more than 25 years, I firmly believe that kata is relevant in today’s training. Not only does kata keep the student tied to the rich history of the style they are studying, there are gems of self defense techniques hidden in kata. One of my goals, and my duty, is to teach students to see them and explore them. There are other benefits. Kata training exposes the student to the physical beauty of their style. Coordination, joint locks, throws, sweeps, and other elements are also contained in kata. Kata training is more than just another avenue to achieve the goal of self defense. Kata also makes students more aware of their body’s general health and conditioning. Kata requires concentration. In today’s noisy world with countless and simultaneous interruptions, developing focus and concentration is essential. Not every martial arts practitioner wants to fight (spar). As we age, some of us have to limit or stop sparring for one reason or another. Kata training, however, can continue, allowing these practitioners to stay involved in an art they love and remain physically fit. I have seen kata performed by practitioners in their nineties. Even at that age, they still seek to understand subtle nuances of their kata and hidden defenses and attacks in them. Many other sports enthusiasts, such as boxing, wrestling, football, or others, have to end their full participation in their pastime, or limit it to coaching or just watching. That is not the case for karate and its kata. Of course, you can learn offensive and defensive techniques without learning kata. A well trained boxer or wrestler is an example of this. For those whose main focus is life preservation then kata training might not seem to be as valuable to them as learning to kick and punch. Some practitioners pursue professional careers in boxing, mixed martial arts (MMA), military, law enforcement, and other endeavors, and might prefer to devote more time to self defense and less time to kata. Although I believe that their careers will be enhanced by kata training, I understand their motive to concentrate on only the specific mechanics and techniques of self-defense. The question still remains whether can you be a traditional dojo without teaching kata. I say not. It is one thing to teach people some particular techniques they may need in a crowded city or walk to work for the night shift in a deserted area. Self defense is always good to have in your back pocket to pull out when absolutely necessary. Knowing how to diffuse a potential confrontation is important, especially when schools and workplaces have zero tolerance for fighting. But studying aspects of self-defense alone ignores the deeper experience and benefits of martial arts study that can last a lifetime. Kata training can maintain your self-defense skills and sharpen them in case you need them in a non-dojo situation. Learning the history of our style, passed down through kata, provides insight into self-defense techniques. This knowledge helps to keep the art flowing from generation to generation. To kata or not? My answer is clear: we teach kata because it enriches our knowledge of self-defense. It’s Not a Race to Black Belt… it’s a Journey! Many students, especially our younger ones, believe that there is a race to black belt. It has been my experience that boys, teenage and younger, treat training more as a race than girls of the same age do. I have noticed that girls usually want to get it right before moving on while boys just want to keep it moving. Older students (30+) seem more patient and desire to learn to perform techniques correctly and consistently before moving on. As a teacher, this is a challenge! I need to manage the expectations of the young aggressive students while encouraging their motivation to succeed. I have found many ways of accomplishing both goals. I also allow students of all belt levels to open and close class and to lead the exercises. The higher level students will get the opportunity to teach a kata to lower belt students. These small opportunities of leadership help to keep the students motivated. It also shows them that with leadership comes responsibility that some students are not in a rush to have. It’s also true that you can learn more deeply about a kata you already know by teaching it to someone else. The students actually slow down, see techniques from a different perspective, and enjoy the journey. Speaking of journey, I routinely tell all of my students that it is not race, it is a journey. Several times a year I put on my white belt to let them know that the color of the belt is not important. Learning is key. I used to join class and allow one of them to teach. I stopped because they are too strict! I wonder where they got that from! I am now working on a “Turnaround Day” where, for one class, parents take a class and the students teach them. It’s a big day where their children can convey their excitement about showing what they have learned to others, and to remind them about how much they have accomplished, even if they are at a beginner belt level. And for parents, they may see martial arts practice in a new light. This might seem like a hard sell for some parents. A benefit of martial arts practice is to break down the self-imposed barriers we may have, and to try new things, even if we may not do them well. When children see parents willing to try new things, it encourages them to pursue new things in the future. My goal in teaching is to keep the students encouraged and to help them to savor each moment while working for future goals. Remember: it is not a race, it is a journey! With the start of a new year, there are also new goals, new opportunities, and new students. Many karate schools start to prepare for the upcoming tournament season in January. Students order new uniforms, weapons, and sparring gear. Dojo heads map out the tournaments that their students should attend. Tournament fever starts to fill the air! I believe that you should work a new kata, empty hand or weapon, for at least three months before performing it in a tournament. The complexity of the kata and the skill level of the student weigh heavily in the amount of time needed to practice. January is a great time to start preparing for those spring tournaments in earnest. It’s also a good time to set goals for the new year. Our dojo has new membership goals, student retention goals, and student motivation goals, to name a few. Many dojos offer free class, free uniforms, or reduced tuition to attract new students. Reflection about the reasons why some students left the program in the previous year can identify the program improvements that will foster improved retention in the new year. No dojo likes to lose students and sometimes we have to tweak our programs, without compromising our core values, to keep students of all ages invested in their goals and interested in the discipline. We want all of our students to remain in the dojo and to be successful in their journey. Some dojos see a flood of new students in January, just like fitness centers get the most memberships with New Year’s resolutions about people wanting to ensure better health. There are many reasons for starting in January. Some receive karate lessons as a Christmas gift or holiday promotion. Others have new fitness and weight management goals that they want to start. While others watched so many martial arts movies during the holidays that they just have to give it a try. Some just want the challenge of learning something new. Regardless of their reason, all new students are welcomed with open arms. During the cold winter months the dojo is a good place to come workout and sweat. Hard working new students will start to see the fruits of their labor by spring. Perhaps they will experience the accomplishment of a belt promotion, participation in a tournament, or representing the dojo in a spring or summer demonstration. Yes, the new year is an exciting time in the dojo. New people, new goals, new opportunities, and new memories. Back to School! And Back to the Dojo! It is common for students to take off for long stretches of time from the dojo during the summer. Some go to camp, to grandma’s house, or long family vacations. Regardless of the reason, it is important to return to the dojo as soon as possible. Unfortunately for many students, “out of sight” means “out of mind.” It can take several classes for the student to get their “groove” back. Combined with being in a new grade in school, and in some cases a new school all together, can add to the challenge of resuming good karate training. That is one reason why students should return as soon as possible and not wait until they have many new challenges at the same time. Instructors are always happy to see students return to class and are always willing to assist them to regain their previous form, and prepare them for new lessons. It is imperative that students dedicate themselves to catching up. They all have “muscle memory” that can make it possible, but the finer aspects of kata often need refinement. Of course, practicing while on vacation is the best way to ensure that catching up is as rapid as possible. It does not take long to practice what you have learned. Maybe 30 – 45 minutes once or twice a week will do it. Practicing on vacation can be great fun; it is common on Okinawa to practice on the beach! The sand offer resistance in stepping, and builds up leg strength and flexibility. Any time devoted to practice is better than no time at all. In the end the student will be better able to “hit the ground running” when they return to the dojo. Time away affects readiness for testing: calendar time is not the same as dojo time. It is also important that students don’t have unrealistic notions about testing. Depending on the test cycle the student might not have enough class hours or have the necessary command of the next level’s material to be tested. Don’t stress out! The study of martial arts is not a race, but is a journey. Not all journeys begin and end at the same time. Have fun during your summer breaks. Practice your karate when you can, but be sure to make time for it and practice it in interesting places. Return to the dojo as soon as possible and most importantly enjoy the martial arts journey. So… You Can Serve More Than One Master! When I started karate classes many years ago, I often heard my instructor say “you can’t serve two masters.” He didn’t mean it in the biblical context (Matthew 6:24), but in terms of the intensity of a student’s desire to learn, and quality of their focus, and their management of time. He believed that, regardless of age or belt level, you can only study karate from one instructor (school). For youth, it went one step further. For them, he believed that kids could not play any other organized sports or activities like cheerleading and gymnastics. He was seeking full commitment to the study of karate. Before I go any further, let me make it perfectly clear that I do not endorse underbelts training in more than one karate style, particularly in kata. Stay with one style until achieving black belt level in it, and then talk to your instructor about your desire to learn a different style. Initially, I accepted the “one master” notion in my personal karate endeavors. For the majority of my underbelt years, I practiced with my one instructor in his dojang only (“dojang” is what those studying Korean martial arts call their dojo). It was not until I achieved brown belt rank that my desire for more sparring practice increased. We practiced very little sparring at the dojang, and that lead me to secretly spar with other students an instructors. At that same time, my son, who started karate at age 5, wanted to play football while continuing his karate study. We spoke with our instructor, and as expected, he was firmly against it. As a compromise for our son, we found an intramural soccer league that practiced and played games on the same day. It was a very informal league, and it satisfied him at the time. As soon as he tested for black belt, we signed him up for football. Jump ahead almost 10 years, and I am running my own martial arts school! Initially, I had the same rule as my first instructor, and expressed my displeasure about students participating in football, baseball, and other activities while practicing karate. Some families made their child focus solely on karate while others let their children choose. I lost some good students. I believe some would have matured into very good black belts. This gave me pause… and as I thought more about it, and came to reevaluate my position. I asked myself a question: If a student decided to participate in other time consuming actives while studying karate what was the worst thing that could happen? Other than quitting karate, it would be that they would just miss the next test opportunity. That means that the road to black belt is a little longer for them. Now I meet with the parents and students and let them know the consequences of participating in multiple time consuming actives. Instead of potentially being eligible to test every 4 months the might have to sit out a test while their outside activity is in session, resulting in at least 8 months between tests. This change in position for me has worked well for me and my students. We have had soccer players, football players, baseball players and even a teenage member of the NC National Guard in the dojo. They train at their own pace and advance accordingly. Earlier in this article, I mentioned that I used to train without the permission with other instructors to improve my sparring. Well, wouldn’t you know it… I faced the same problem in my dojo? No, none of our students were sneaking around. It relates to a change in approach to teaching sparring. We have changed from point sparring to full contact sparring. With over 20 years of point sparring experience I knew that I needed help to implement the change. Rather than run the risk of having my students sneaking off like I did, I solicited the the support of a good friend who is the head of a local Bushiken Karate dojo. Not only does he invite our students to his bi-weekly fight night, he offers insight to all of us about the finer points of his art. So, yes, you can serve more than one master. You must do so in an open, honest, and well thought out manner. You need to acknowledge that there are compromises in the speed of promotion or the depth of knowledge for that particular time. When other activities no longer compete for that time, a fuller and deeper study of martial arts is always waiting for you. Some students and karate practitioners like to watch videos of their kata so they can diagnose what is not correct yet and build on what they do well. There’s a simpler way of seeing your own abilities that is more important than video: a mirror… or, as I like to call him, “Sensei Mirror”. Below are some of the benefits of training with Sensei Mirror. You can see… you! Otherwise you always have to rely on others to help fix and adjust what you can easily see in the mirror. You may attend class twice a week, but you probably pass by a mirror a few times a day. Take advantage of that! You can make your own corrections and get a better sense of proper technique. Your own corrections are often better because you understand how your body feels when you do a technique properly. Doing it, seeing it, and feeling it is how we learn, and the mirror helps us bring all three of those sensations together, and learn in a more effective way. You look at you — right in the eyes. Good concentration starts with focused eye contact. Sometimes it’s hard to get used to looking at a fellow student directly into the eyes with great intensity. It’s easier if you practice it in the mirror… by looking at you! If the mirror is large enough, it helps you develop peripheral vision. You learn how to take in your surroundings, left and right, high and low, while still having focused eye contact. It’s amazing how wide our range of vision is when we pay attention to it. This helps us defend ourselves because we are focused and aware at the same time. As you progress, you are taught visualize an opponent when executing all techniques (punches, kicks, blocks, etc.). Make Sensei Mirror your opponent. All proper techniques when taught assume that your opponent is the same size as you — so a middle punch is delivered to the same spot it would be as if your opponent was punching you. You can see that in the mirror better than you can feel it practicing without a mirror. The more you practice good targeting of punches and blocks in the mirror, the better prepared you are to find those same targets on someone of a different size. You can see how you might appear to an opponent. Do you look like an easy target? Do you protect your centerline? Do you have a confident posture? By practicing in front of a mirror we start to consider ourselves as our own opponent. This is not really new. When we study martial arts we are always overcoming our limitations in knowledge and physical ability. We don’t always feel like practicing, and we don’t always feel like learning. By considering ourselves as our own opponent, we strive for more knowledge and to always improve our abilities and techniques. Many students have said that as they studied martial arts they came to realize that the times that they did not feel like practicing or going to class were the times when they needed the practice and the class the most. Very often they found that those turned out to be their best classes and best performances. They learned that self-discipline grows from practice, and the discipline of martial arts helps them in other areas of their life. Sensei Mirror is very good at creating self-discipline. When it comes time to practice alone, look in the mirror. We see ourselves and what we are and what we do at that very moment. We see how we can be improve and we can see how much better we were than before. Sensei Mirror can enhance what we learn in class and help us improve our karate in many ways. Sensei Mirror provides us with a sense of progress and accomplishment as we pay attention to what we can more plainly see. Ronald Williams on Farewell to Our Founder!